Pathet Lao Day in Laos falls on January 6. This day Laotians celebrate the anniversary of victory of the Pathet Lao over Lao Royal government. The Pathet Lao was a communist political organization and movement that formed in the mid of the 20th century. During the the Laotian Civil War the Pathet Lao was reorganized, equipped and even led by the army of the North Vietnam to fight against Anti-Communist Forces. As far as the Pathet Lao assumed political power after the war, it became ultimately successful. The Pathet Lao has always been closely associated with Vietnamese communists so this term has become the generic name for Laotian communists. In 1975 the Pathet Lao made coup d'etat and accused the royal government of committing genocide against Hmong ethnic minority in collaboration with the Vietnamese army. According to some data up to 100,000 were killed out of a population of 400,000. Vietnam lost its control over Laos in the end of 1980s, when the Soviet Union broke up, and Laos became the democratic republic. 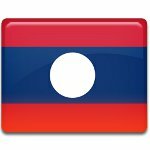 Today the Pathet Lao movement is regarded as the Nationalist movement in Laos.